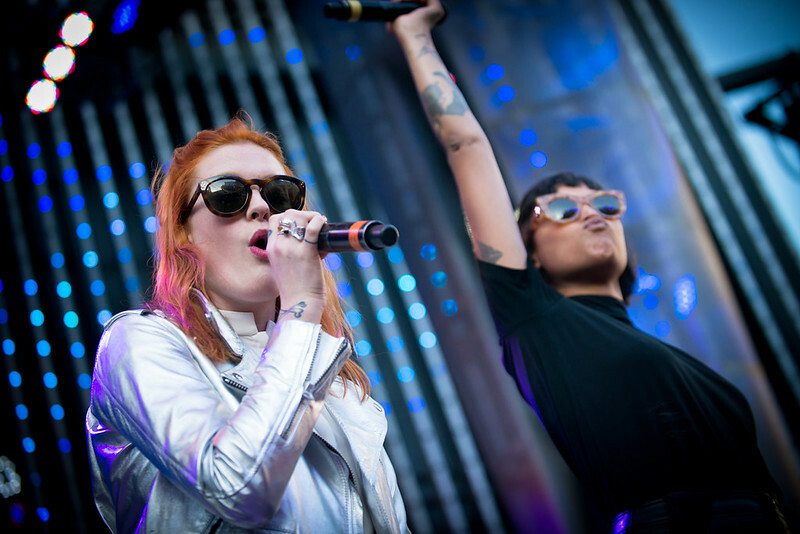 Icona Pop performs a free show at Universal's CityWalk in Hollywood. Currently, Icona Pop is on tour supporting Miley Cyrus on her Bangerz Tour which lasts through the end of April. After that, beginning May 7th in the UK, Icona Popwill start their tour with Katy Perry. Today, the Swedish duo premiered their new remix of "It's My Party" featuring Ty Dolla $ign. It's a tribute to the 1963 pop anthem by Lesley Gore. Listen to the song below and check out their upcoming tour dates with Miley and Katy.